Owner Pat Klohr and his family have over 20 years experience in design and construction of custom pools and stunning outdoor environments. Their work has been featured in many celebrity homes, in the Las Vegas Nevada Tour of Homes and in trade shows across the United States. Out of this experience, and recognizing the growing popularity of fire features in both residential and commercial landscaping, Outdoor Fire Concepts was born. Family owned and operated, we provide affordable custom fire features to Pool companies, Landscape companies, Restaurants and Hotels throughout the world. Outdoor Fire Concepts deals directly with the manufacturer of the All Weather Electronic Ignition System (AWEIS) and also provides custom fire rings equipment and technical support for all types of fire feature installations worldwide. We take great pride in our commitment to excellence and to our customers. 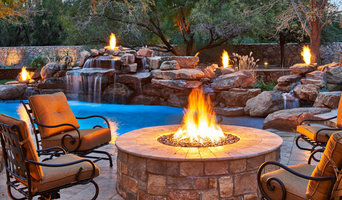 Our company will incorporate breathtaking fire features into your landscaping, transforming your backyard into an affordable custom oasis where family and friends come together to enjoy a warm and memorable outdoor experience. Outdoor Fire Concepts is based in eastern New Mexico where they bring the outdoor oasis lifestyle to the Land of Enchantment and beyond. *Authorized Heatilator and Heat & Glo Fireplace Dealer* Established in 1979, Perfection has grown to become Houston’s premier supplier of quality building products. Today, Houston-area homeowners, builders, developers and architects know they can rely on us for dependable service, competitive pricing and top industry expertise on all of the products that we sell. Homeowners – At Perfection, we know that the more you learn about the products and services you are looking for, the more satisfied you will be with your purchase. Our knowledgeable sales team will discuss your project, present you with information on the products and services that we provide, answer your questions, and work within your budget. Next, our customer service and installation team will insure that your job is done in a timely and professional manner -- and that you are completely satisfied with your purchase. Builders – Perfection prides itself on its close relationship with Houston-area builders. Whether you are building one custom home or a whole neighborhood, we can do the job. With our trained and experienced installation and technical service professionals, along with our state-of-the-art scheduling system, Perfection will get the job done right, and right on time. Developers – Perfection has worked with area developers for years to provide quality products for multi-family apartment projects, condominiums, master-planned communities and commercial buildings. Whether your job is privately owned, federally or locally government funded, or has special requirements (i.e. LEED), we have the expertise that you need. We are open Monday - Friday 8 AM - 5 PM. Closed on Saturday and Sunday. For more than two decades, Siteworks has built a reputation for high quality design and workmanship. 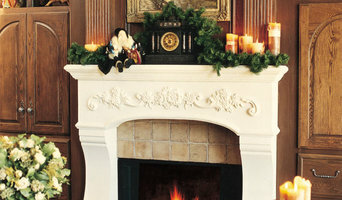 We are best known for the enduring elegance of our limestone fireplace mantels. With three distinct collections to choose from, each with its own broad selection of individual mantel designs, Siteworks has the ideal fireplace for any situation. The Fireplace Man, Inc. was established in 1949 and continues to be a professional, friendly, family owned and operated company based in Houston, TX. We provide expert chimney sweeping, pressure washing, duct care and cleaning services at competitive rates in Houston, Austin and San Antonio. In addition to the thorough inspection and cleaning of chimneys, we specialize in the prevention, detection, and correction of chimney and venting system hazards - the kinds of hazards that can endanger the health and safety of your family and home. Our Guarantee, is one of the toughest, if not the toughest in the industry, we will go above and beyond the call of duty to ensure you and your family are satisfied. Cohesive Materials. Custom Design. Strong Manufacturing. Superior Service. When in the market for stone, travertine, marble and architectural stone for your home or business, consider our stone manufacturer difference – the expertise and capabilities of Materials Marketing. High quality materials and excellent service set us apart. Our mission is to be in the vanguard of ever-changing design demands, maintain superior craftsmanship and consistently deliver an aesthetic that is tailored to each individual client’s vision and specifications. Our vast portfolio also includes from tile floors to fireplaces, staircases to columns, fountains to kitchen hoods, windows, doors, balustrades, cladding, pilasters and the most breathtaking mosaics. Our knowledge, experience and reputation keep us in popular demand with the most seasoned and reputable builders, designers and architects as well as homeowners with discriminating taste. Our expertise extends from exteriors to interiors for all high-end commercial and residential projects. We pride ourselves on museum quality work. Explore the Materials Marketing difference. We specialize in conceptualizing, manufacturing and installing unique and custom made cast stone outdoor and indoor fireplace mantels, fire pits and more at competitive prices. Our company provides custom carved natural marble and limestone products at highly discounted pricing. PatioGate is Houston's #1 Outdoor Living Essentials retailers. We offer a wide range of products to fit any outdoor space, with a special concentration on fire pits, fireplaces, and torches. A good chimney sweep is hard to find. If you are looking to get your fireplace repaired, cleaned, or inspected you have come to the right place. This is a company that believes in honesty, hard work, and the old fashioned quality of american craftsmanship. We provide a wide range of services from chimney caps, water leaks, fireplace installation, all the way to brick fireplace repair, and chimney building. We are fully insured with a million dollars in coverage. Don't leave your safety or your money in the wrong hands, call today! What should you know about buying a fireplace in Stafford? Since wood smoke contributes to air pollution, many cities have banned the use of wood-burning units. If you’d like to buy a wood burning unit, check the Stafford, TX city policies first. If your home already has a wood-burning unit that you’re concerned about, contact a fireplace manufacturer to replace your wood-burning unit with an environmentally friendly electric or gas alternative. Gas inserts can be efficient heaters and may lower your electric-heat bill. Many adjust to provide high heat on a cold night or a low-burning flame for ambience. Interior fireplaces and mantel designs are as varied as home interiors. From custom fireplace mantels made to conceal a flat-screen TV to custom hearth designs with elaborate Renaissance-style stone mantels, the latest designs can be found by visiting Stafford, TX fireplace showrooms. Find fireplace manufacturers and showrooms, plus fireplace installation professionals, on Houzz. 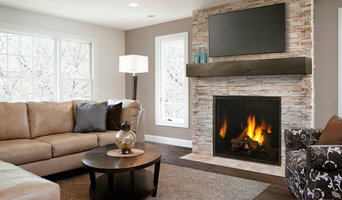 Go to the Professionals section to find Stafford, TX fireplace design and installation experts.